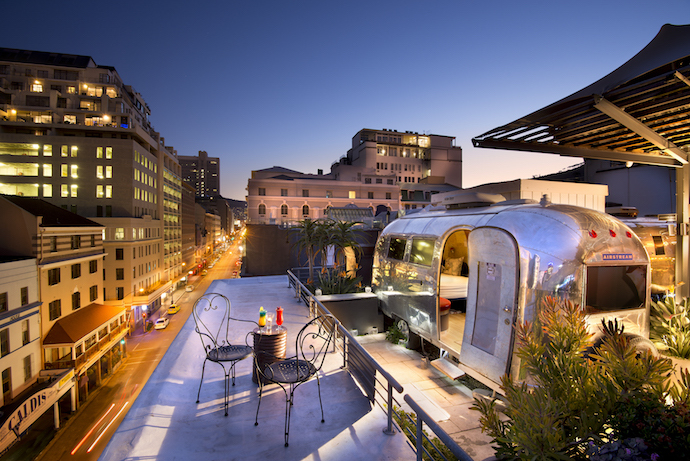 When it was time to revamp one of Cape Town’s landmark hotels, everybody pitched in, the brief simple: understated elegance with a proudly South African twist. Boy, did they get it right! 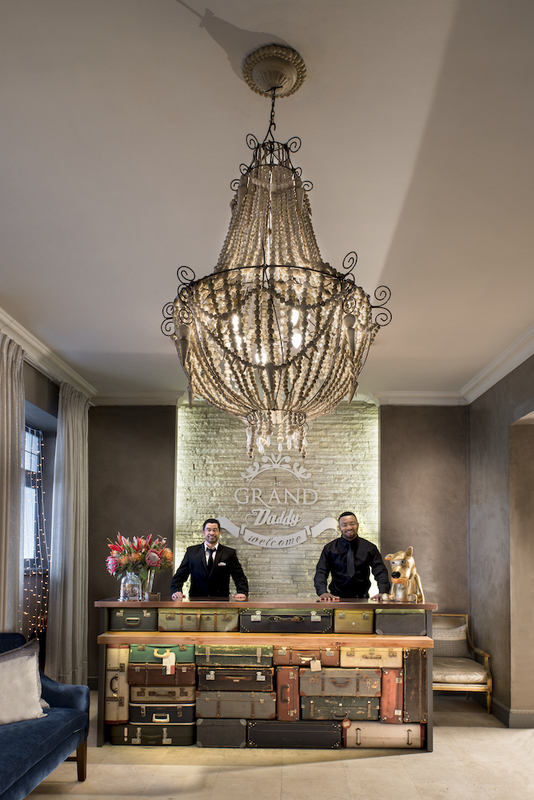 A look around the newly revamped The Grand Daddy Hotel in Cape Town’s bustling Long Street feels a little like coming home. 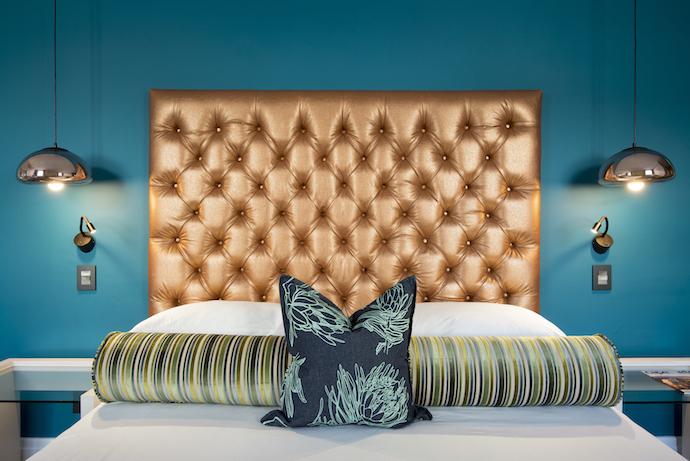 Stylishly colourful and authentically South African, the hotel’s new look was a team effort, say Brenda Campbell, hotel manager, and Leanne Munckton, brand manager for African Secrets, a boutique-destination management company that manages The Grand Daddy. It was Leanne herself who thought up some pretty cute new signage for the hotel. 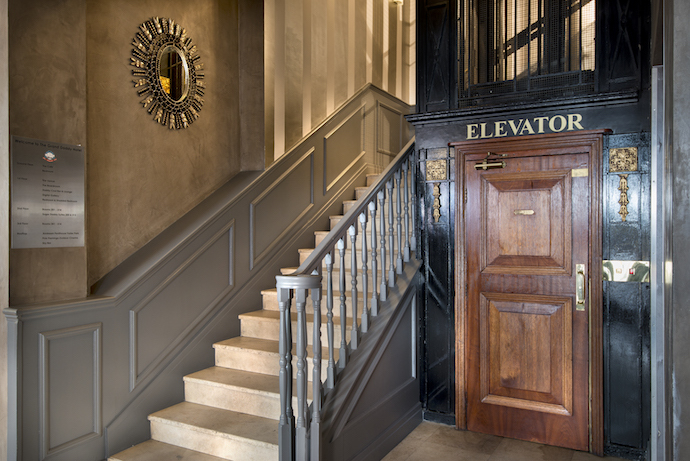 On entering the hotel lobby you are welcomed with warmth and charm. On the reception desk sits the gold mascot dog Leon, who’s apparently been there for yonks. We first check out the downstairs eatery, Thirty Ate, to see what’s changed. Nothing and everything, it seems. 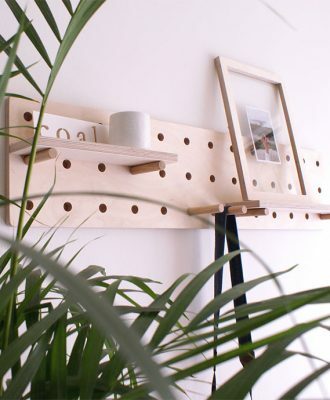 “We love upcycling,” says Leanne. “Nothing is new; all the existing furniture and fittings have been redone and repurposed.” And copper is the go-to colour, that’s clear. 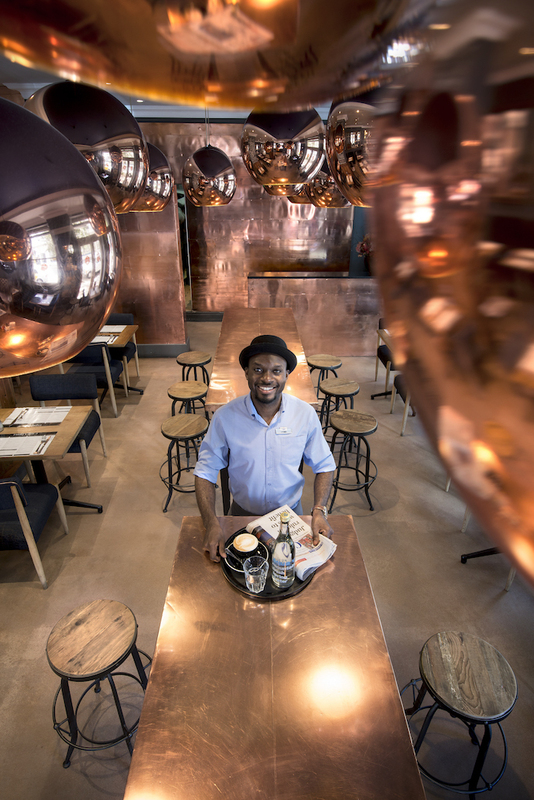 Leanne says the eatery’s interior, by Jacqui Hunter, was themed around a dangling row of retro copper light fittings, a favourite feature of the owners. 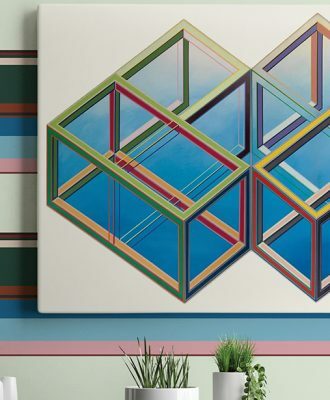 But the colour copper’s reign doesn’t end here; it’s throughout the hotel’s interior: clad walls and bar, tabletops and piping around moody-blue reupholstered armchairs. 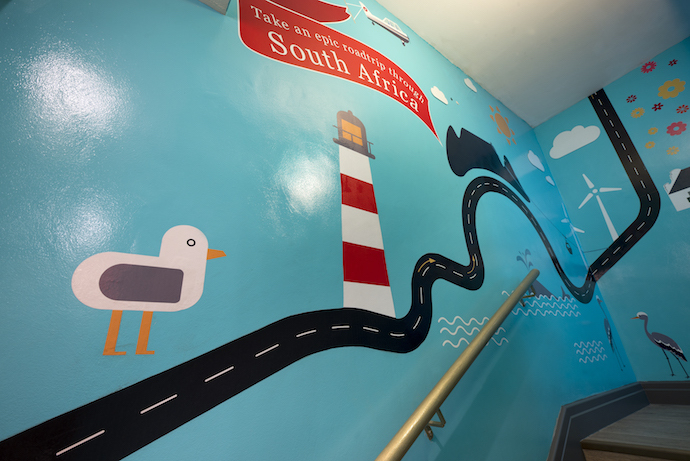 After admiring Cape Town’s oldest working elevator back in the lobby, our tour continues to the rooftop via a staircase where a playful South African road map painted on the wall leads the way. 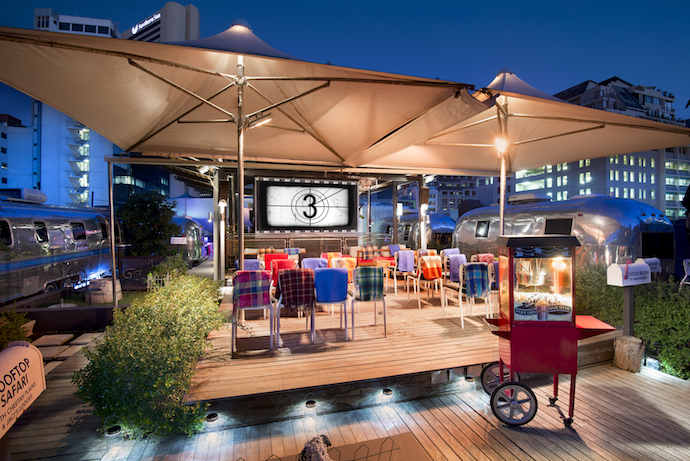 Upstairs, a new world awaits – a world of open-air classic-movie screenings, and sundowners in the Sky Bar set against a dramatic city and mountain skyline. 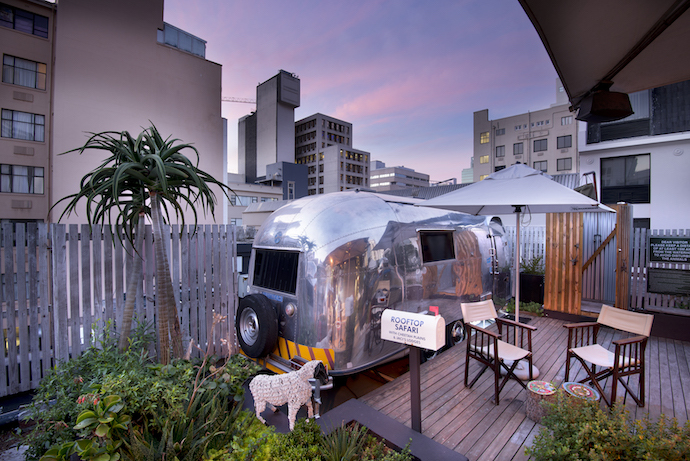 The rooftop is also home to five swanky Airstream trailers, all charmingly decorated. “Each trailer represents a special part of the country,” says Brenda. 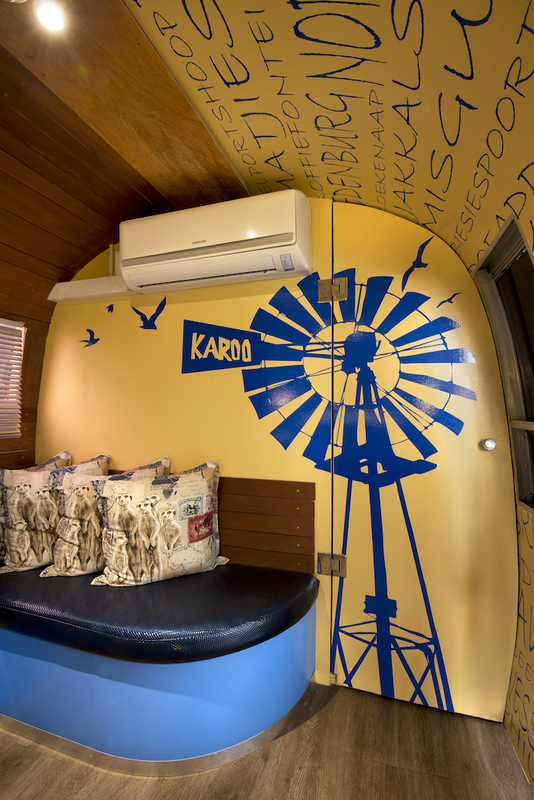 Think Namaqualand daisies and Karoo dorpies, and you get the picture. Down the staircase again to the third floor,where the renovated corridor is admired. 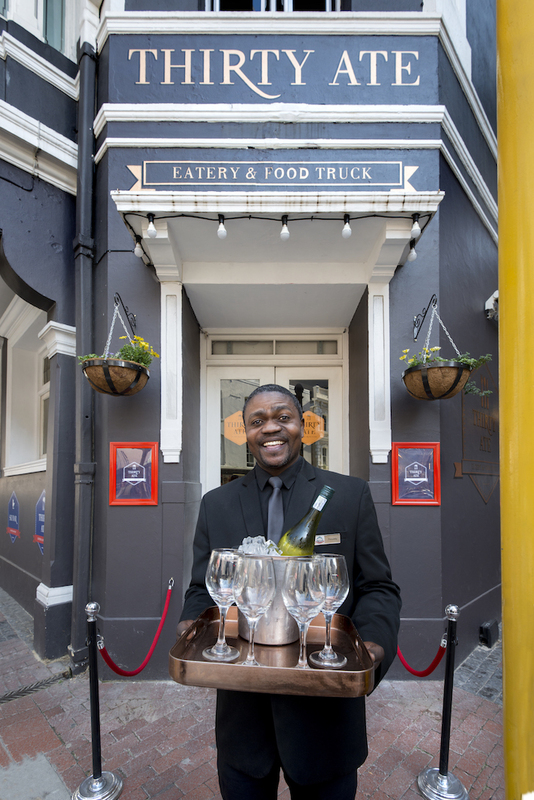 “Our rooms are located on the second and third floors, and all have been revamped,” says Brenda. 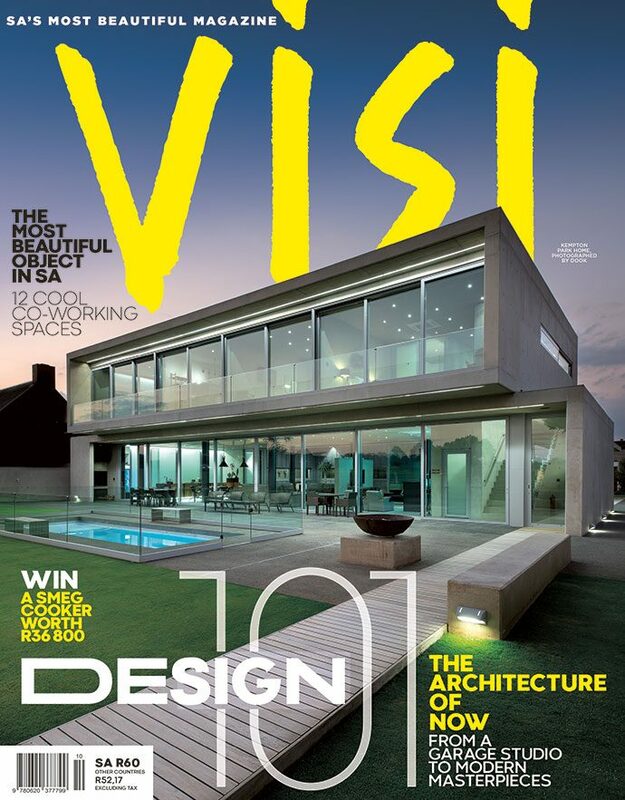 “Even our passages got a makeover.” And it’s beautiful. 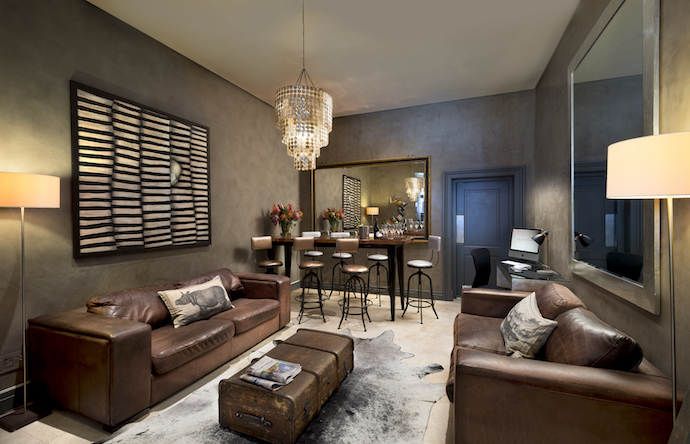 With thick carpeting, stylish copper lettering on the walls, and nooks created with upcycled vintage chairs, it is easy to get cosy in the passage. On the second floor we peek inside The Grand Daddy Suite. 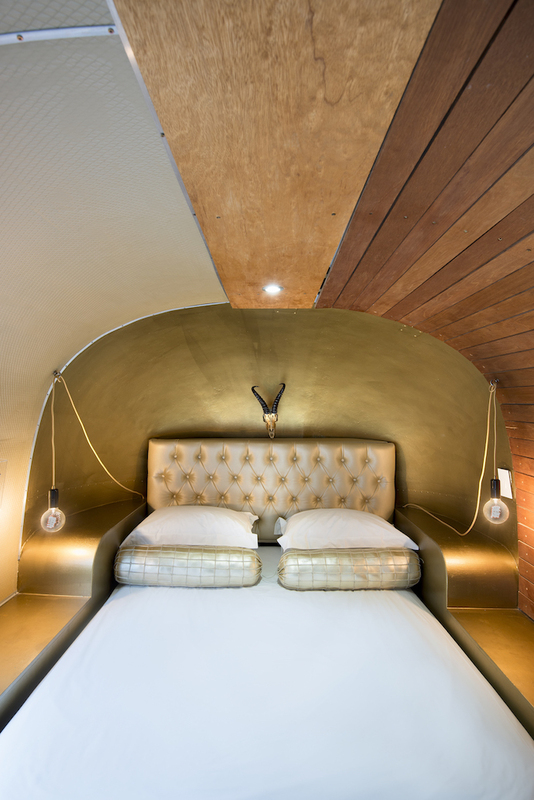 It is more spacious and has its own little garden patio, but it is representative of the general look and feel of all the rooms: upcycled furniture, including bedside tables, a freshly painted cupboard and dressing table, a dramatic reupholstered copper headboard, and copper light fittings. Printed cushions and artworks featuring iconic South African motifs pull everything together. All done inside, it’s time to show off the exterior and Leanne’s hand-painted mural of an Airstream trailer doubling as a food truck. 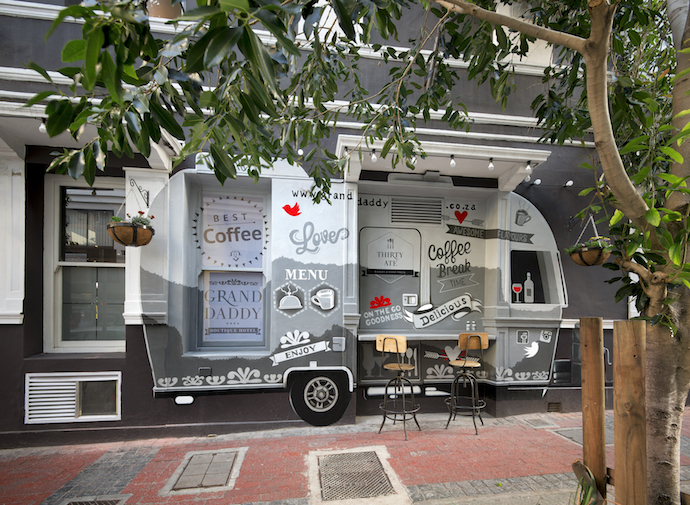 Here, through a hatch, coffee-on-the-go and eats are available. Novel… and yet another example of how teamwork has made this the grandest daddy of them all. 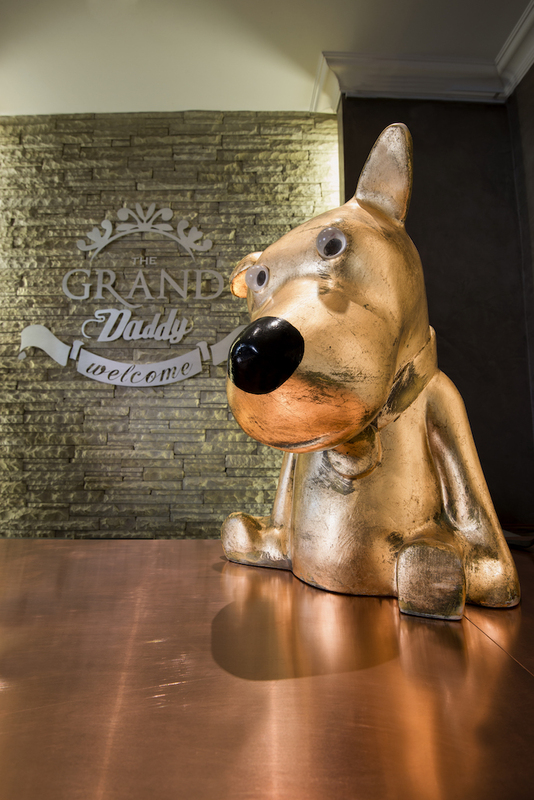 To book your stay at The Grand Daddy Hotel, visit their website.